With the gaggle of connected home products, smart TVs, smartphones, and other mobile devices ruling our lives, it’s more important than ever to outfit your home or business with a wireless router that can handle the increased demand for Wi-Fi connectivity. When choosing a new router, you should consider the size of your coverage area and the number of clients, as well as the types of devices that will connect to the router. 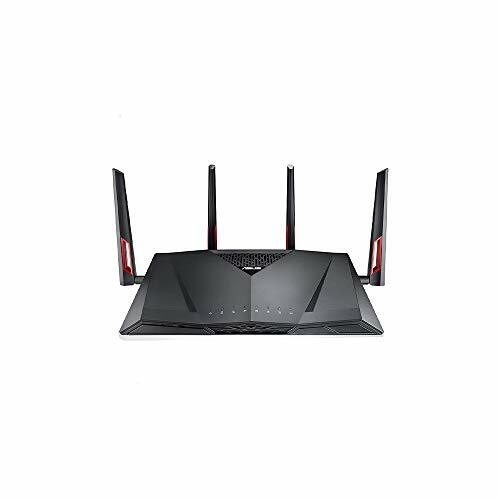 The R7000 Nighthawk AC1900 Smart Wi-Fi Router from Netgear uses a dual core 1GHz processor and AC1900 Wi-Fi technology to deliver speed and performance that’s perfect for gaming and streaming HD video. It supports both 2.4GHz and 5.0GHz wireless frequencies, providing up to 1900 Mbps (600 on the 2.4 GHz band and 1300 on the 5.0 GHz band) data transfer rates. The Nighthawk router utilizes…MORE Beamforming+ technology, meaning that unlike omnidirectional Wi-Fi which fans the signal out within a range, it communicates directly with devices such as tablets or smartphones, and beams a signal specifically to the device. This reduces interference, and provides stronger, faster, and more reliable connections. Mobile Wi-Fi speeds are much faster than previous technology thanks to the router’s high-powered amplifiers and antennas. The router is iTunes compatible, so you can play music that is stored on a hard drive or USB memory stick through AirPlay or Apple Remote. Netgear Genie provides a personal dashboard to monitor, control & repair your home network. ReadySHARE allows you to wirelessly access and share a USB hard drive and printer across your wireless network via two USB ports. 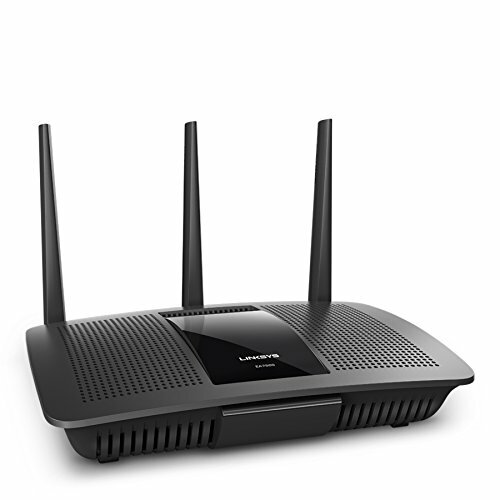 With the EA7500 Max-Stream Dual-Band Wireless-AC1900 Gigabit Router from Linksys you can set up and configure your wireless network in no time using the Linksys Smart Wi-Fi application or through a web browser. Simply plug in the router and connect it to your modem, sign up for a Linksys Smart Wi-Fi account, and begin configuring your network settings such as wireless encryption, operating modes, drive management, and more. The EA7500 comes equipped…MORE with three dual-band detachable antennas and operates on both the 2.4 GHz and 5 GHz frequencies. With support for the 802.11ac networking standard users can take advantage of a maximum data transfer rate of up to 1900 Mbps. The wireless signal emitted by this router is beamed directly to connected devices thanks to built-in beamforming technology providing a stronger, more reliable signal. Users also benefit from MU-MIMO (multiple user – multiple input multiple output) technology designed to handle multiple data streams simultaneously to ensure tasks such as online gaming and streaming multimedia content operate lag free. If a wired connection is what you need, the EA7500 has you covered as it comes equipped with four Gigabit Ethernet ports. The MAX-STREAM AC1900 Multi User-MIMO Router offers two dedicated Wi-Fi bands that deliver combined speeds of up to 1.9 Gbps. This B&H Kit includes two ASUS RT-AC68U Dual-Band Wireless-AC1900 Gigabit Routers. With two dual-band Gigabit routers you can provide maximum Wi-Fi coverage to large spaces such as large homes or small offices. Each router supports the 802.11ac Wi-Fi protocol with wireless data transfer rates of up to 1900 Mb/s and comes equipped with five Gigbait Ethernet ports. 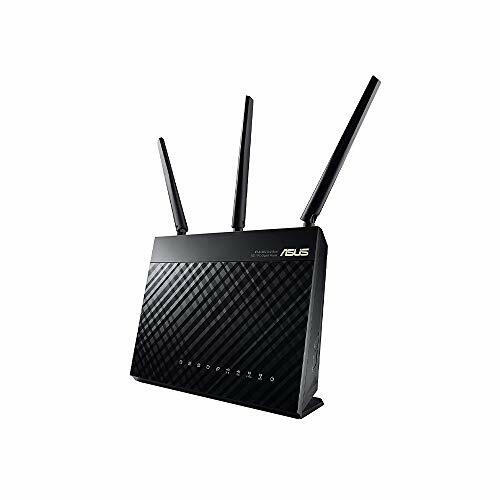 he RT-AC68U Dual-Band Wireless-AC1900 AC Gigabit Router from ASUS provides wireless speeds up to a combined 1900 Mbps. High-definition media enthusiasts…MORE and gamers alike will find the fifth-generation 802.11ac router to be a suitable solution for high definition video streaming and online gameplay. It also features 4 BaseT Ethernet ports for LAN connections and one port for a WAN connection. The RT-AC68U features quick installation and wired/wireless connectivity. The three adjustable antennas enable more specific direction to your devices, resulting in a strong connection. Additionally, with two USB ports you can share files from attached perpherals like external hard drives, connect printers, or 3G/4G modems. Features like AiCloud, AiRadar, and ASUSWRT provide tools to easily setup, install and optimize the router. And with dual-band connectivity you can have 2.4GHz and 5.0GHz concurrent bands at up to 600 and 1300 Mbps, respectively. This allows for smooth multitasking capabilities. 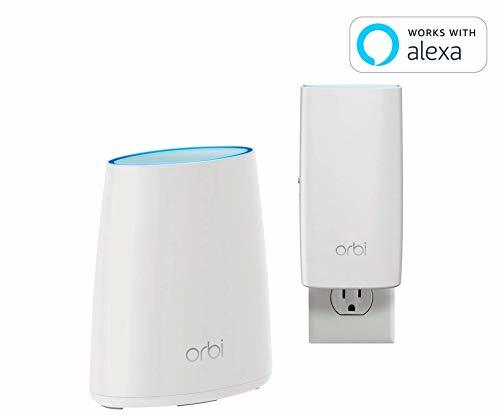 The Orbi RBK30 is easy to use, can deliver reliable Wi-Fi for a relatively large home and has all the features and settings of a standalone Netgear router. If you live in a relatively large home with plenty of available wall plugs, the Orbi RBK30 makes a great Wi-Fi system, though not necessarily the best. The RBK30 uses the same router unit (model RBR40) as that of the Orbi RBK40. As a result, it has exactly the same feature set,…MORE settings, setup process and even similar performance compared to its close sibling. (For this reason, you should check out the review of the RBK40 for more details. This short review will only focused on how this system is different from the rest in Netgear’s Orbi family.) What makes the RBK30 different from its siblings is its satellite unit (model RBW30) which is less than half the size the RBK40’s and designed to plug directly into a wall socket. Unfortunately, as a wall plug it’s bulky, and will definitely block adjacent sockets. Google Wifi is easy to use and a breeze to set up. It has strong Wi-Fi coverage and fast speed. It costs a lot less than other mesh Wi-Fi systems. Google Wifi is the best Wi-Fi system on the market. if you want to extend fast internet to every corner of your home, the Google Wifi is the best device to do it. You just need two things: An internet-connected iOS or Android mobile device, like a phone or a tablet. A Google account, which you can get for free. This is because, unlike most routers,…MORE there’s no web-based interface and the new Wi-Fi system can only be set up and controlled via the new Google Wifi mobile application. 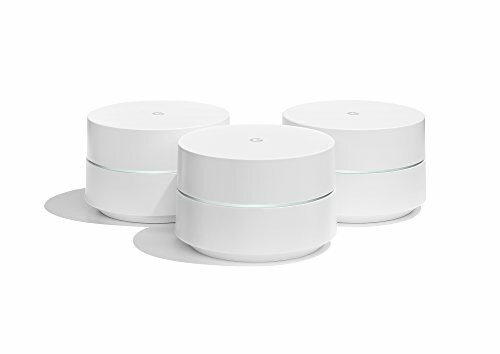 Once set up, the Google Wifi will stay connected to Google at all times and will log into your Google account each time you want to manage it. Google says the Wifi doesn’t collect user activity data, like what sites you’re visiting. By default, it appears to collect only hardware-, app- and network-related information. However, you can turn this off in the Privacy section of the settings. Still, a constant connection to Google is required. That’s a dealbreaker for some. 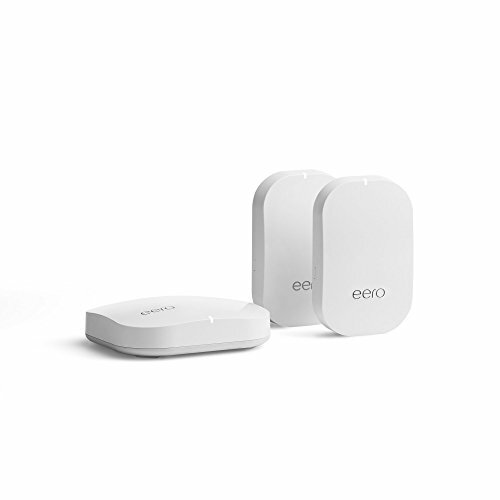 The second-generation Eero Home WiFi System is even easier to set up than the first, thanks to wireless access points called Beacons that plug straight into AC outlets. It’s also more powerful, thanks to a new Qualcomm mesh Wi-Fi router chipset and a tri-band Wi-Fi radio. The router delivered triple-digit throughput in every room of my 2800-square-foot home—more than enough bandwidth to support several HD video streams simultaneously. But when you look at the benchmark charts below,…MORE you’ll see that while the new Eero (I’ll call it Eero 2 from here) is much faster than the first-generation product, it was the fastest mesh router in the field of eight that I’ve tested to date in only one location in my home, and that was with a MacBook Pro as the client. An ambient light sensor on the Beacon will automatically turn the nightlight on when it’s dark, and the light’s intensity will scale with the room’s light. You can use the Eero app to program it to turn and off at designated times. You can dial the time in precisely enough, but the schedule will be the same for every day of the week. The Asus RT-AC88U router has eight superfast Gigabit LAN ports, speedy Wi-Fi performance and lots of useful features. Its Web interface is smartly designed and easy to use. You’ll pay a lot for the Asus RT-AC88U, but it has everything you’d want in a router. If you have the money, this is the router to get. The RT-AC88U is Asus’ latest true dual-band router, not to mention the best router the company has had to offer so far. It’s the first home router with eight Gigabit LAN ports…MORE with additional support for Dual-WAN (one of the LAN ports can be converted into a WAN port) and port aggregation (two of the LAN ports can be combined into a single superfast connection.) On top of that, it has a robust and fun-to-use Web interface, a slew of excellent network-monitoring features, a built-in VPN server, and the ability protect your home network from malware and intruders. What’s more, the router supports MU-MIMO, and includes unique features for gamers. In all, I’ve never seen a router with more to offer than the RT-AC88U. Performance-wise, the router excelled in my tests, delivering top Wi-Fi data rates, long range and a stable wireless signal. 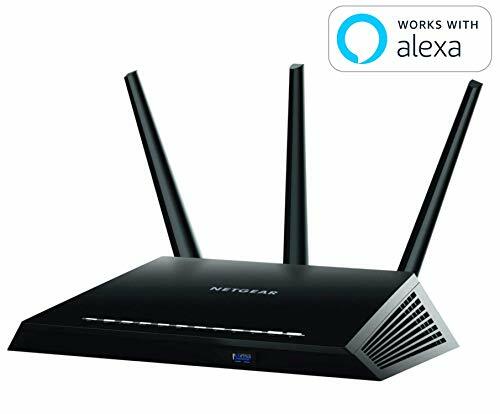 Supporting data transfer rates up to 2.53 Gbps, the R7800 Nighthawk X4S Dual-Band Wireless-AC2600 Smart Wi-Fi Router from Netgear users can stream multimedia content, transfer large files, game online, send emails, and more all at the same time. 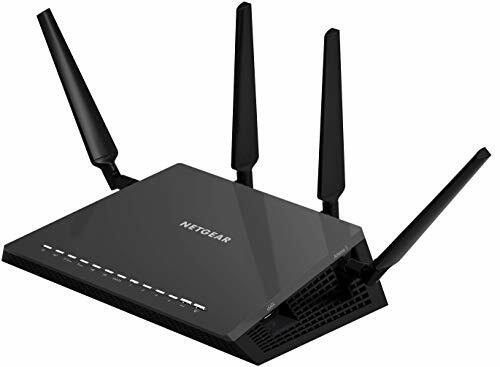 Not only can you connect to the network wirelessly with the N7800 Nighthawk, you can also connect Ethernet enabled devices to any of the four Gigabit Ethernet ports. With support for up to four separate data streams…MORE in both the 2.4 GHz and 5 GHz Wi-Fi bands, and the implementation of MU-MIMO (Multiple User-Multiple Input Multiple Output) technology, each connected user benefits from their own direct connection to the network rather than having to share a single data path. Backing up the enhanced wireless connectivity are four high-performance antennas, a dual-core 1.7 GHz processor, 128 MB flash memory, and 512 MB RAM providing the necessary processing power to virtually eliminate hiccups within the network. You can also connect USB compatible peripherals such as hard drives to either of the two USB 3.0 ports. By connecting a hard drive to the router you allow users to access stored files from anywhere on the network. Installation and management of this Netgear router has also been greatly simplified thanks to the Netgear Genie app.